New Delhi, India (CNN) -- The sole surviving suspect in Mumbai's terror attacks told his trial Monday that four of the gunmen involved in the siege were Indians and not Pakistanis as Indian authorities allege, attorneys said. Mohammed Ajmal Kasab said one of the alleged attackers were from Indian-administered Kashmir, one was from the Gujarat state and two others from Mumbai, public prosecutor Ujjwal Nikam told CNN. 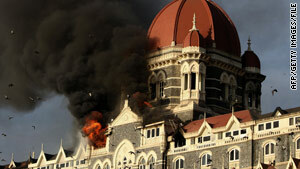 Kasab claimed he identified them after seeing pictures of their bodies in the newspapers, Nikam said. He, however, did not elaborate on how he knew they were non-Pakistanis, the prosecutor said. "He's lying again. We have rock-solid evidence in the case. His lies will have no impact," Nikam remarked. Last month, Kasab recanted his confession, saying he admitted to playing a role in the assault because he was pressured by police. He, however, has not denied his Pakistani nationality. Indian authorities say Kasab was part of a 10-member, all-Pakistani terror squad that struck the country's financial capital in November, 2008. More than 160 people were killed in the deadly event that derailed the fragile peace process between nuclear-armed India and Pakistan. The prosecution has examined 610 witnesses. Indian officials have said Kasab was trained by Lashkar-e-Tayyiba, a militant group that was banned in Pakistan in 2002 after an attack on India's parliament. The group denied responsibility. Kasab, who was photographed holding an assault weapon during the attacks, has changed his stance several times.